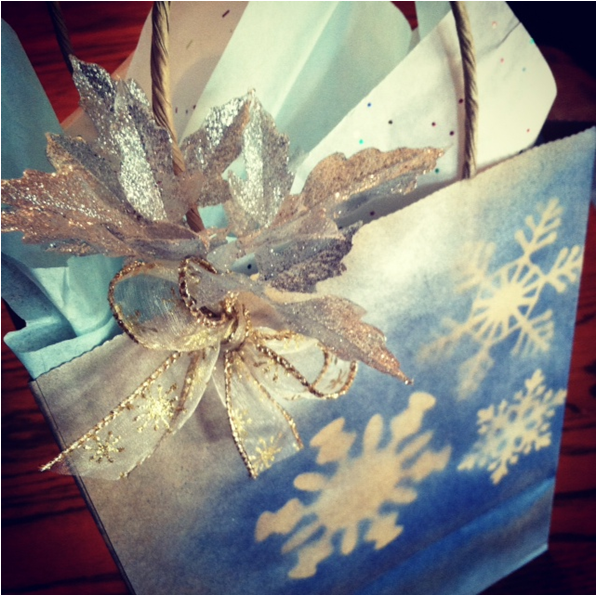 Every Holiday season, my artsy Uncle Jim Sarno makes his own wintery wrapping paper with snowflake stencils, spray paint and glitter. 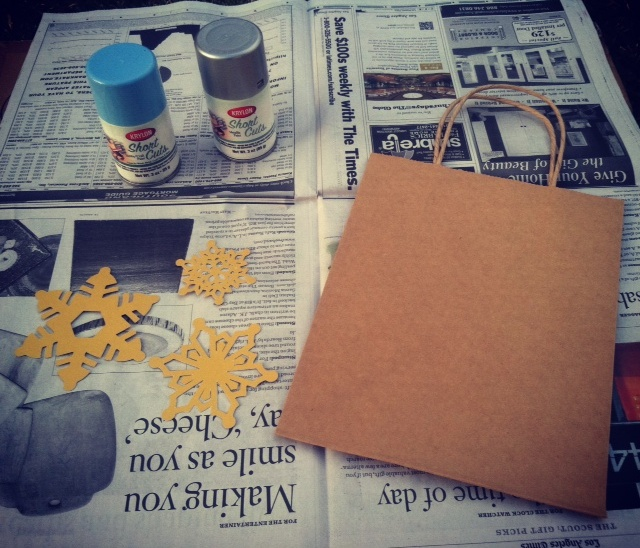 So this year, I decided to get inspired and try it myself, but using brown paper bags instead. 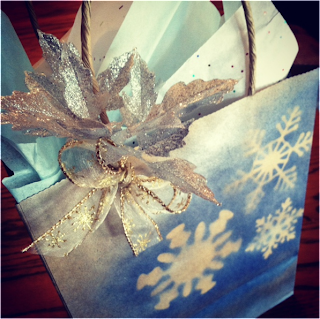 That way this pretty package can be used year after year. 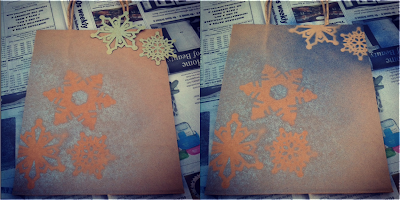 With my cricut machine, I cut out different sized snowflakes to use as stencils. 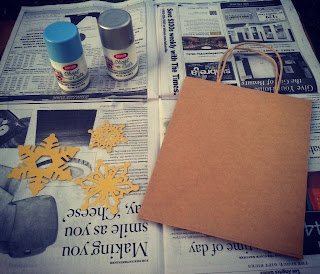 I also purchased a bundle of brown paper bags and spray paint: blue, baby blue, silver and gold. 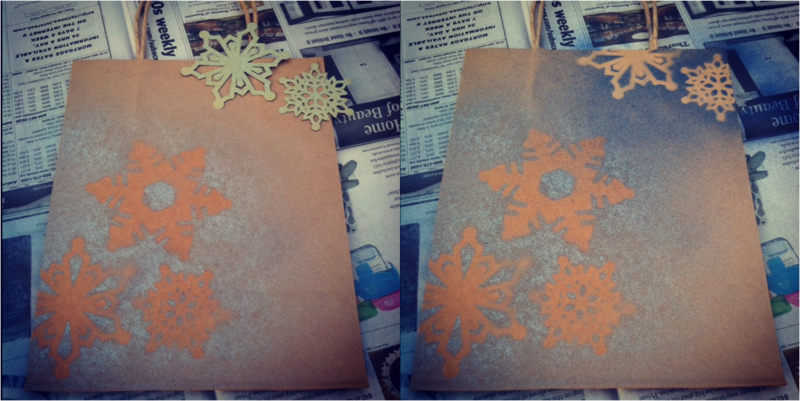 Place the snowflakes on top of the bag and spray the paint about a foot away directly over the stencils (at an angle will blow the stencils away). 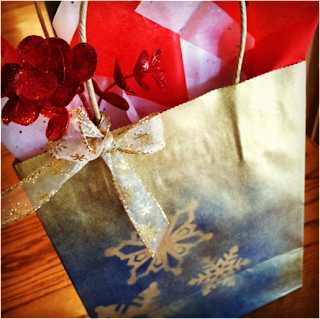 Spray the leftover brown areas with gold and silver, to give a shimmery glow. This is a good alternative to glitter which is messy and keeps popping up all over the house weeks later! You can still have a similar shiny effect with the silver and gold paint. If you still want that touch of glitter, you can find glittery floral pieces at your local craft store. Tie it around the handle with some ribbon. 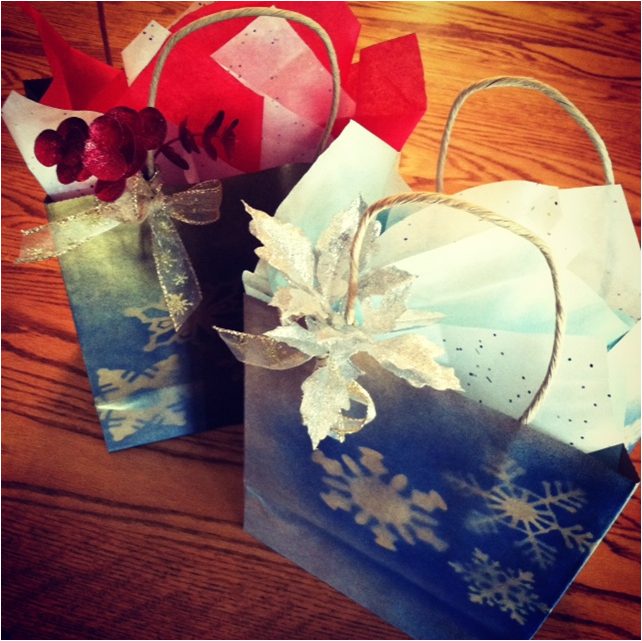 Stuff your present with colorful tissue paper for the final festive touches. This is one great DIY idea for gfs gifts. 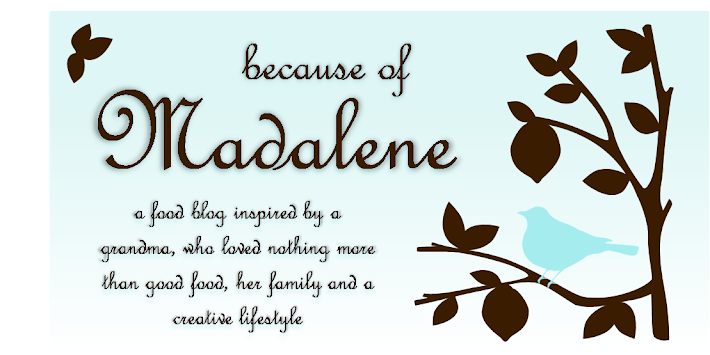 very original!